At Palola Dental, we’re proud to help patients throughout the Mililani and Waipahu, HI areas achieve gorgeous new smiles through convenient dental treatment. 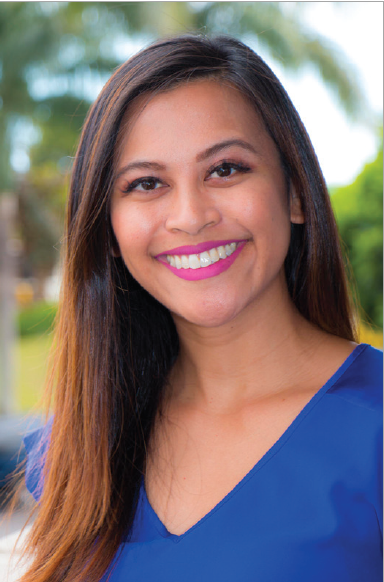 Every member of our team works together to help our patients achieve their dream smiles – but we’re especially proud of our Waipahu and Mililani dentist, Dr. Jaclyn Palola. Dr. Palola is an Ewa native and graduated from Mililani high school, so she’s proud to be whitening smiles for life in Hawaii! Dr. Palola is passionate about improving people’s smiles, and as a native Hawaiian, she’s proud to be serving the community she grew up in. In addition to graduating valedictorian from Mililani High School, Dr. Palola attended the University of Hawaii at Manoa, where she was honored as a Board of Regents Scholar. Dr. Palola has also been honored with numerous awards for her service to the community. Just this past February, Dr. Palola won the Honolulu Best New Dentist award and received a feature in Honolulu Magazine. Furthermore, Dr. Palola was recently given the New Dentist Award from the Hawaii Dental Association. In addition to these awards, Dr. Palola is proud to be a member of the Hawaii Dental Association Board of Trustees, a member of the Crown Council, and have Physician Privileges at The Queen’s Medical Center. Dr. Palola is honored to be recognized for her work, but more importantly, she feels blessed to help members of her community achieve beautiful, healthy smiles – and if you’d like one for yourself, Palola Dental would love to help! Request an appointment online to schedule your dental consultation with us. We’ll explain your current dental situation, your treatment options, and help create a detailed, personalized treatment plan to help you achieve your new smile. We can’t wait to hear from you!